This project will produce a complete, modern scholarly edition of the corpus of official inscriptions of the last native kings of Babylon (626-539 BCE) in print and in an annotated, open-access digital format. This corpus of texts, which now comprises 220 inscriptions written on 1,421 objects, greatly supplements information provided in the Bible and in Classical texts, including Nebuchadnezzar II’s siege of Jerusalem and the deportation of its king and people, as well as the spectacles of Babylon’s city wall and Hanging Gardens. This important group of historical texts written in the Akkadian language was last edited together 1912 and that volume is very out of date and far from complete; S. Langdon’s Die neubabylonischen Königsinschriften (Vorderasiatische Bibliothek 4; Leipzig: Hinrichs) has never been updated, either with new editions of the older texts or with publications of the many newly discovered texts after 1912. A modern edition of all of the old and of the newly discovered Neo-Babylonian royal inscriptions has long been a desideratum. By the end of 2022, Royal Inscriptions of the Neo-Babylonian Empire (RINBE) aims to remedy this by publishing in print and online all of the known royal inscriptions of the Neo-Babylonian Dynasty. 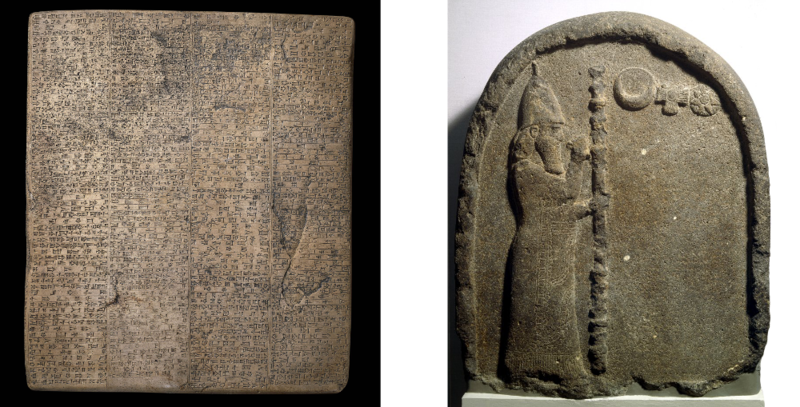 This project, which is part of the Munich Open-access Cuneiform Corpus Initiative (MOCCI), is the successor of the University of Toronto-based Royal Inscriptions of Mesopotamia (RIM) Project (1980-2008) and the University of Pennsylvania-based Royal Inscriptions of the Neo-Assyrian Period (RINAP) Project (2008-). Although some of its contents have been available since August 2015 via the “Babylon 7” sub-project of the open-access Royal Inscriptions of Babylonia online (RIBo) Project, the project officially began June 2017, when RINBE’s co-founders and directors Prof. Dr. Karen Radner (Chair for the Ancient History of the Near and Middle East at LMU Munich) and Prof. Dr. Grant Frame (University of Pennsylvania) established its editorial board, its team of consultants, and the books’ authors (see below). The project is expected to take six years to complete (2017-22). introductory pages giving historical background and other kinds of information. As part of MOCCI, RINBE’s contents will be fully integrated into the Open Richly Annotated Cuneiform Corpus (Oracc) Project, the Cuneiform Digital Library Initiative (CDLI), and the Ancient Records of Middle Eastern Polities (ARMEP) map interface, a LMU Munich-developed, web-based research tool. The online material is managed by Dr. Frauke Weiershäuser and Dr. Jamie Novotny. The print publications will be handled by Eisenbrauns, an imprint of Penn State University Press, and will appear in the same format as the RINAP publications, but with one important addition: Golden Standard Open Access publishing, that is PDFs will be available for free download without an embargo period directly upon publication. The kings of the Neo-Babylonian Empire, the last native rulers of Babylon, have left hundreds of official inscriptions, not only on clay cylinders, but also on daily and votive objects, such as bricks and paving stones, as well as on rock reliefs and monumental architecture. These mainly come from sites in present-day Iraq, but also from sites in Jordan, Lebanon, Saudi Arabia, Syria, and Turkey. These inscriptions, which are written in cuneiform script and in the Akkadian language, range from simple one-line labels identifying a ruler as builder or owner of a palace, temple, or wall to lengthy, sophisticated narrative accounts in which the ruler’s exploits are reported to the gods and future rulers in a highly literary language, an aspect of Babylonian scribal practice that connects the corpus of Neo-Babylonian royal inscriptions directly to the thriving intellectual history of the time, especially during the reign of Babylon’s most famous king, Nebuchadnezzar II (605-562 BC). The inscriptions mostly describe extensive building activities in the empire’s heartland and document the transformation of the city of Babylon into a thriving metropolis; its temple-tower Etemenanki, royal gardens, and city walls Imgur-Enlil and Nemetti-Enlil were such spectacles to behold that their fame has been passed down to us in the Bible and classical sources. Akkadian inscriptions written on clay cylinders, and on at least one stone stele from Babylon, provide some of native, contemporary information about Babylon, a city whose palaces, walls, and temples were regarded as wonders to be beheld. Contacts with the Biblical kingdom Judah was frequent because of its strategic location close to Egypt’s northeastern border. For example, the Old Testament describes how Nebuchadnezzar II’s armies quelled a rebellion led by Judah’s last king Zedekiah, conquered Jerusalem, and deported the Judeans (including Zedekiah and his family) to Babylon. Unfortunately, Nebuchadnezzar’s own inscriptions do not provide us with the Babylonian perspective of these events because their central focus is on the king as the builder of temples, defensive structures and palaces, or as restorer of cult rites and rituals. The same can be said of Nebuchadnezzar’s capture of the important coastal city of Tyre, which was taken after a thirteen-year siege: that accomplishment is known only from classical sources. The Babylonian kings regularly claimed to be carrying out their actions with the support of their gods with the result that the inscriptions also give much insight into the official relationships between rulers and the divine. These inscriptions often commemorated the building of some palace, city or temple. Thus, their statements are often useful in identifying the various buildings and architectural levels in which they are found. At a time when much of Iraq’s cultural heritage is in grave danger of disappearing due to illegal looting and destruction, one of the aims of the RINBE project is to preserve the heritage of the New Babylonian Empire by collecting and publishing the official inscriptions of the rulers and to make this rich cultural heritage freely accessible to everyone, also in order to curb the flourishing trade of such objects. This website presents some of the royal inscriptions of the six kings of Babylon who ruled southern Iraq from 625 BC to 539 BC, together with a few resources and materials for their study and their historical context. Left: Directors Karen Radner and Grant Frame signing the publication contract with Eisenbrauns in the MOCCI Lab (Historicum K208 & K209). Right: Editorial Board member Rocío Da Riva examining the rock relief of Nabonidus at Sela, Jordan. The RINBE-team working von various cylindern in the Vorderasiatisches Museum in Berlin and the British Museum in London.